SiriusXM Music for Business from PlayNetwork originates from state-of-the-art studios in New York City and Washington, D.C. The award-winning music programming team creates music channels that will enhance your brand’s image, connect with your customers, and motivate your employees. SiriusXM helps your business connect with customers and build brand loyalty, starting at $24.95 per month. While other music services require multi-year contracts, we offer the flexibility to stop the service without penalty. We have over 70 expertly programmed commercial-free music channels. 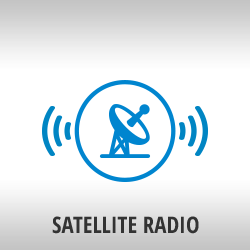 View the Satellite Radio channel guide. No Internet connection needed. Access to the roof for installation of the satellite antenna required. Already own a satellite radio? Call us at 1.888.964.2874!